I decided on chocolate icing for this year's lamb cake. 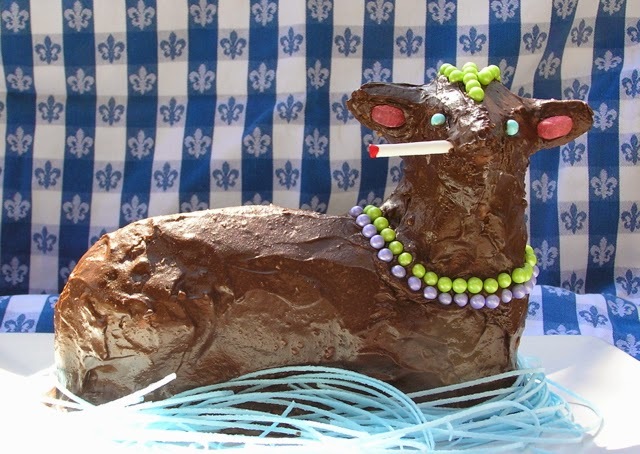 There's a long tradition of cigarette-smoking lamb cakes, and some controversy over their meaning. My favorite explanation is that smoking is one of those luxuries you might have given up for Lent; once Easter comes, Lent is over, and everybody can light up again, even the lamb! In the NYTimes today, Parental Involvement is Overrated. I liked this article, not because I think it's intelligent or well-written (I don't), but because, with any luck, it's an early sign that the parental-involvement pendulum is starting to swing back. That's good news for me. As regular readers will know, I resent the schools' ham-handed attempts to get me involved, from homework assignments my child can't possibly do on her own to pointless parent-teacher conferences. The writers don't even mention an important form of parent involvement that's become very common; parent re-teaching and tutoring. These efforts have become a normal part of childhood, from the middle class on up the economic scale. Parents don't trust the schools to ensure their child has learned the material, so they find their own resources. It's terribly inefficient, but we're stuck with it. 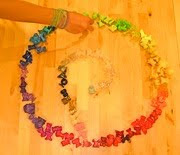 As I remarked to my employer at the after-school math club where I've been teaching, wouldn't it be great if we could get this done during the school day?